It's a nice pendant that is matching very well my new Cascade Helenite ring. I fell in love with the color of the green after receiving the studs. I was so surprised to see how big the stone is on this pendant. It’s absolutely gorgeous!! I’ll be ordering the matching ring next!!! Now, you can own this newest addition to the fine jewelry scene. We've found the cream of the crop of Helenite and had it cut and faceted by skilled craftsmen into a gorgeous collection erupting with vibrant color and fire. This is green like you've never seen it. 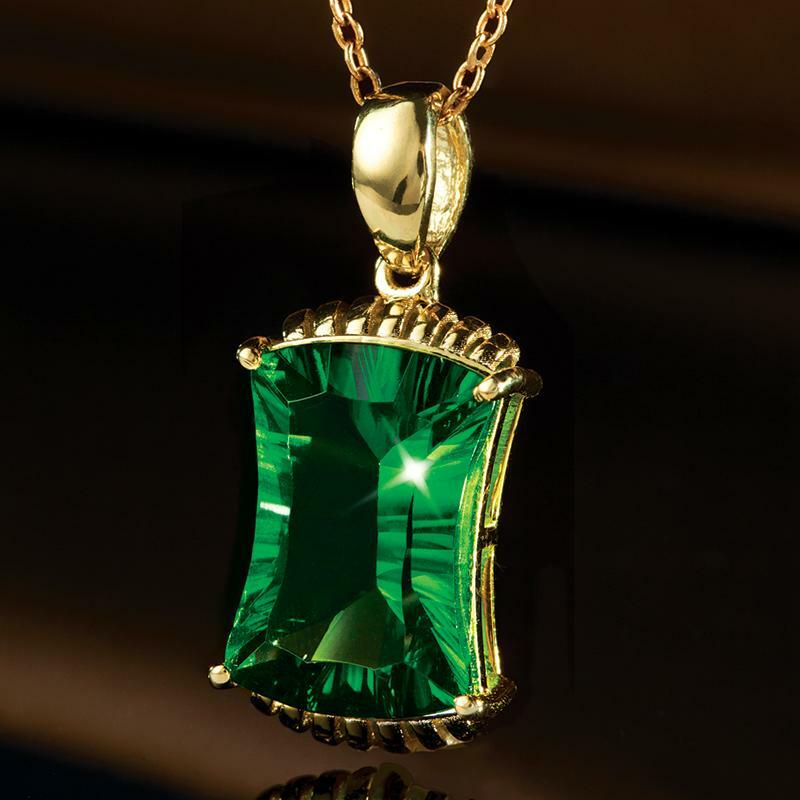 Create a stir yourself with our Helenite Phoenix Pendant. Expertly faceted, over 4-carats of Helenite set in gleaming gold-finished .925 sterling silver.